PBF Energy spokesperson Mike Gayda said that a low level concentration of about 10 parts per million was emitted into the air. He compared this to a drop of soy sauce in a pot of water. Note that DNREC said the highest concentration was “projected” to occur at a point 3/4 mile away from the source. “Projected” means they probably ran a computer model to simulate the leak, they didn’t take any measurements of the actual concentration of hydrogen cyanide in the air around the refinery. Was there a school close to that point? A playground? A church? Lots of what if’s, and not very timely disclosure to your neighbors. Subscribe to SkyTruth Alerts to learn about incidents like this near your home, school or business. Just for clarification purposes, there was a release of 524 pounds of sulfur dioxide reported on 10/26 from the north flare at the Delaware City Refinery. It appeared to be a one time release and there have been no subsequent reports from the refinery since that date. What is the definition of “high risk”? The story also reports that the Delaware City refinery reopened October 7 after being closed for nearly two years. The first report of hydrogen cyanide being released from the facility was received by the National Response Center on October 2, and has been reported every day since then. Curious how the refinery was permitted to open 5 days after they reported that a boiler on the FCC unit blew a hole in the line causing a release of hydrogen cyanide and that the unit had been shut down for repair? THIS IS A 24-HOUR UPDATE TO AN ONGOING INCIDENT. CALLER STATES HYDROGEN CYANIDE IS RELEASING FROM A CAT CRACKER UNIT DUE TO AN OUTAGE OF THE “CO” BOILER. A release of this compound is not very common, according to our research. We went back 10 years through the our alerts database looking for reports of releases of 100 pounds or more of Hydrogen Cyanide. Not counting the daily release of 200 pounds from the Delaware City Refinery this month, we found only 48 other incidents reported to the NRC over the entire 10 year period. Obviously, this is NOT a common occurrence. 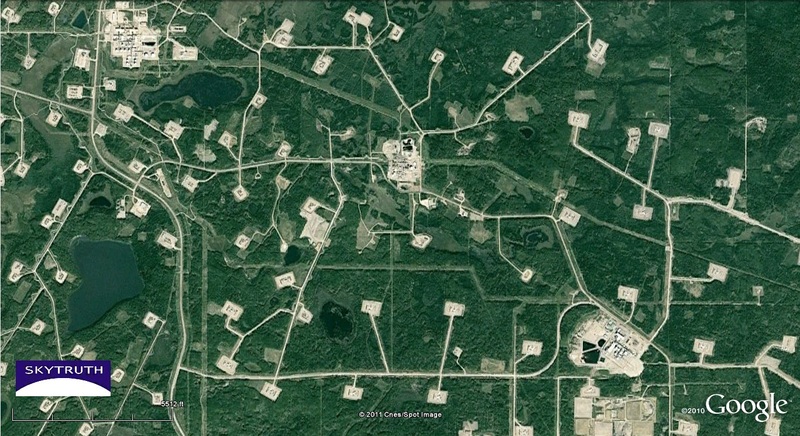 Alberta’s Tar Sands: In-Situ Extraction Converted to Mining? 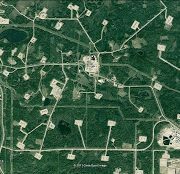 2008 Google Earth imagery showing intense footprint of in-situ bitumen extraction from tar sands deposits near Cold Lake, Alberta. Meanwhile, here is a shot of an in-situ extraction project (using the SAGD process, Steam-Assisted Gravity Drainage), located about 15 miles northwest of Cold Lake, Alberta. Best we can tell this is part of Shell’s Orion project. 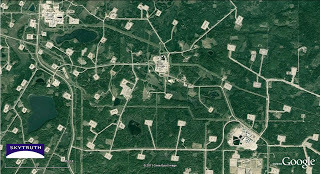 The well sites are about 5 acres in size and they are spaced very closely together. The result is a pretty heavy surface footprint on the landscape, similar to what we see with natural gas drilling and fracking in places like western Wyoming’s Jonah and Pinedale Anticline fields. https://skytruth.org/wp-content/uploads/2011/10/SkyTruth-ColdLake-insitu-GE-2008.jpg 174 320 John Amos /wp-content/uploads/2016/08/test_logo.png John Amos2011-10-19 16:27:002019-02-22 11:14:06Alberta's Tar Sands: In-Situ Extraction Converted to Mining? Here are some comments we received after our presentation at LightHawk’s annual Fly-In held in Boise, ID the weekend of October 7-9. Very kind words to hear, thanks folks!